The link-bait title is only half tongue-in-cheek. Last night I attended a great little seminar on improving business-to-business social media use run by Bath and Bristol Marketing Network [I cheated a little – it’s a network for “marketing professionals” rather than “marketing amateurs”]. The speakers were Noisy Little Monkey – a digital marketing agency [who I now respect even more knowing they have an office in Shepton Mallet]. Use images/graphics as well as text. Plan, test, measure, evaluate, repeat. Identify the Twitter geeks who are going to push your content. Use editorial and event calendars to generate a content plan for a year. Identify 5-10 groups and write a half-page “persona” for each group. E.g. Michael Smith – manager of a software company – 45 – lives in Hereford with 2 kids. Bear these “personas” in mind when writing content. The tools are there – e.g. X Analytics, Twitter analysis tools like FollowerWonk etc. – build evidence and base strategy on it. Prepare a monthly report that gives traffic/demographic/content statistics. Systematically experiment with variations on format and content and use the above statistics to evaluate. E.g. What topics pique interest? Do images actually make a difference to engagement and sharing? Sales come from phone calls, website visits, face-to-face encounters. 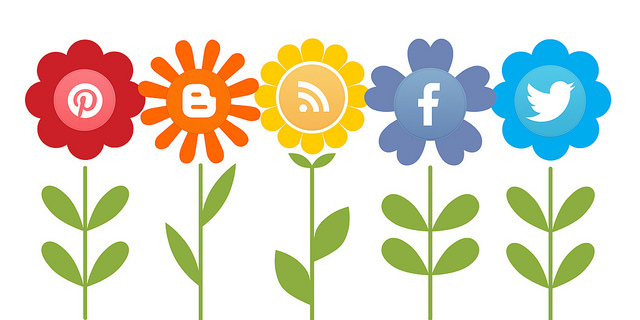 Social media is the noise that pushes people into the sales funnel. It does work. That said the pressure on pushy sales is removed. Educating and entertaining become more important. 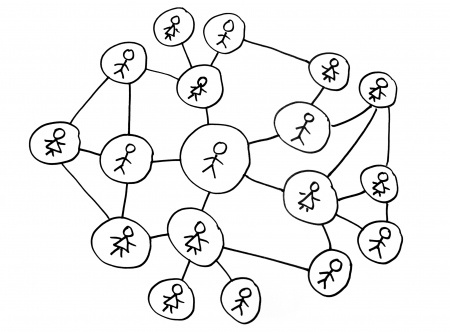 As in most things, only 1-5% of a group actually drives conversations. For example, on Twitter there are key individuals that are followed by many – if you were looking to get exposure work out what they like and what makes them tick. Find out what their interests are to aim content at them for retweets, comments and blog conversations. You can identify individuals using tools – you can sort by individuals who have a large number of followers in areas you operate in who are likely to retweet URLs. You might know when IP events are going to be held. You might know when technology events are to be held. You can plan your content (e.g. blog posts) around these. Also you can find out magazine and newspaper editorial calendars (just google “magazine name” + “editorial calendar”) – you can have a yearly plan of when articles are published and fit blog articles into this. A while back we looked at using “Assigned Tasks” to send tasks to other people. This previous technique required the recipient to manage their own tasks. This may not be great if the recipient is over-loaded. It also does not allow the sender of the task to change the task properties (e.g. 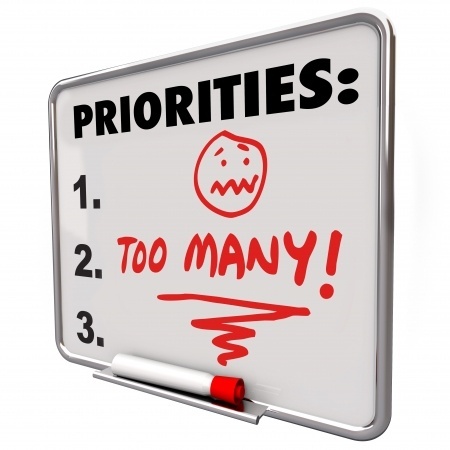 change priority to urgent or move to another date). There is another way to manage people using Outlook tasks. This is by using shared tasks. How to do this is explained below. We will assume the person you want to manage is a “managee”. These steps need to be performed on the managee’s computer. Click on “Tasks” at the bottom of Outlook. Click on the “Tasks” entry in the left-hand-side menu. Click on the “Folder” tab at the top of the tasks view. Click on “Folder Permissions” (second to last entry). Select everyone you want as a “manager” and click “OK”. Select the “Author” permission from the dropdown list and click “OK”. You need to perform the following steps on the computer(s) of those who want to manage the managee. Click “Open Shared Tasks” (third to last entry). Type the name of the managee or select from the list that appears when you select the “Name…” button. The managee’s tasks should then appear in a folder with their name under a “Shared Folders” heading on the left-hand-side. On the manager’s computer, go to “Tasks” in Outlook. Select the folder with the managee’s name. Then select “New Task” from the top. The added task will now appear in the “Tasks” list on the managee’s computer. It is recommend to add a “Category” that says who added the task – this will help the managee filter by sender. If they go to “Tasks” in Outlook and select the “To-Do List” view (red flag) from the “Home” top menu they can see all tasks due in the future and past in a handy to-do list. The managee can then concentrate on doing the tasks due under the “Today” section (or those in the past). View the “To-Do List” for the selected folder. Double click a task to edit or delete (this will only work for tasks created by the manager). Tasks can be reassigned to a different date, can be changed priority, can have notes added etc.. If the managee is using tasks and does not want these viewable by everyone (e.g. “walk dog”, “pick up crack pipe” etc.) we need to create a private folder. Click “New Folder” and call this “Private Tasks”. On the “Home” tab select “Simple List” in the “Current View”, select all existing tasks (using SHIFT) the click “Move” button (to the right) and select the “Private Tasks” folder. New private tasks should then be added to the “Private Tasks” folder (by selecting it on the left-hand-side before adding a task). Let me know if you find any tricks or alternatives. On official communications from the European Patent Office (EPO) the application number is listed in the form: 13123456.9. However, to search for this patent application on the European Register you need to use: EP13123456 – i.e. you need to add EP and remove the check digit. This is often a pain. It is especially a pain if you have performed optical character recognition on a scanned-in communication. In this case you cannot copy the application number directly from the PDF into the European Register search bar. Save this as an HTML file on your computer and add it as a favourite. Now just paste the application number in the box and search! Rule 49(6) EPC – All the sheets contained in the application shall be numbered in consecutive Arabic numerals. These shall be centred at the top of the sheet, but not placed in the top margin. This becomes annoying when you have to file translations or amendments at the European Patent Office (EPO), as these should follow European rules. This means I often find myself needing to swap from bottom page numbers to top page numbers. This is fine when you have a Word document but trickier when all you have are PDF documents. However, there is a trick to swap from bottom to top page numbers. In Adobe 9 – go to the top menu – ‘Document’ > ‘Header & Footer’ > ‘Add…’. Add a top header with a central page number. As the page number needs to be outside the top margin, the top margin needs to be set to at least 2cm (0.8 inches). The font size should be at least 12. Check the preview and click OK.
Now to remove the existing bottom numbers. Using the top menu add another header/footer. Don’t replace the existing header – click Add New. Now here comes the trick – select a ‘full block’ character using Character Map (a Windows system tool). Change the text colour to white and select a largish font size (e.g. 20+). Now copy a few of the ‘full block’ characters to the center footer. Then adjust the size of the bottom margin so the ‘full block’ characters obscure the existing page number. There you go – now compliant with European practice. 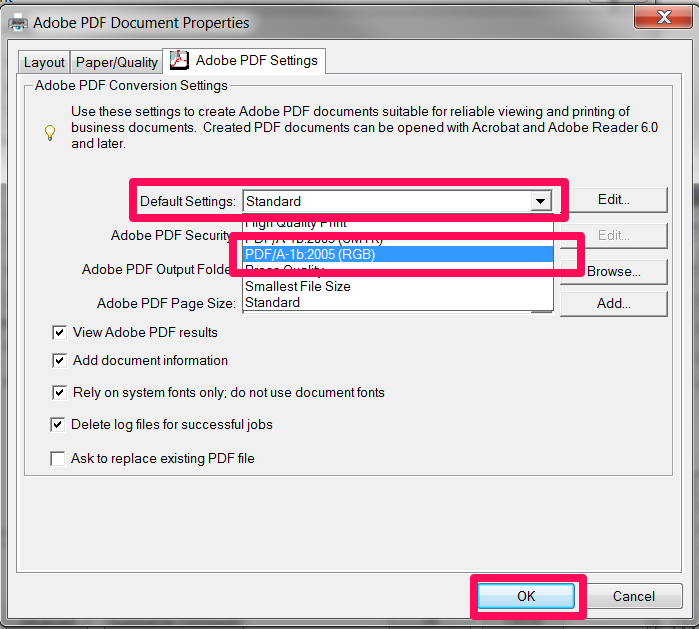 To ‘fix’ the changes ‘print’ the PDF file (e.g. using the EPO-supplied Amyuni PDF printer). 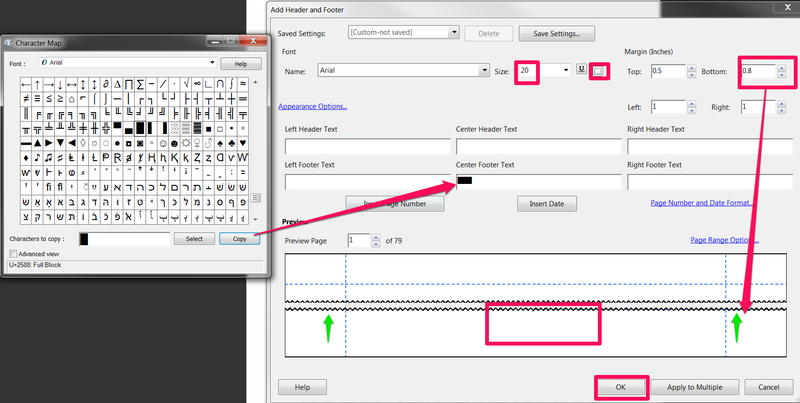 If you save the header and footer settings you can recall them easily. Last time we looked at how certain legal processes could benefit from automation. Today we will identify some patent process examples. Those who are interested in how patents work. Grey process blocks are performed in relation to a patent office (e.g. European Patent Office). The blue documents are typically prepared by a patent attorney. The green documents are prepared and issued by the patent office. For now we will concentrate on the central blocks. 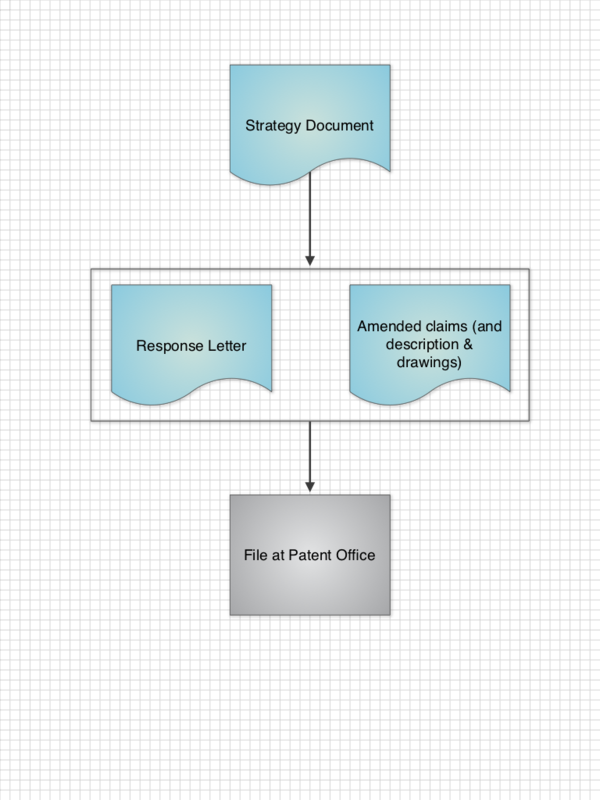 Much of a patent attorney’s day-to-day work consists of reporting documents issued by patent offices and of preparing documents to file in response. The building of a response letter. Last but not least, reduce attorney costs for clients by concentrating attorney time appropriately. Use of a letter-generation engine to generate letter text based on the XML document. The aim is that this should take no more than 10 minutes. Information is gathered that may serve as a framework for a detailed review. Also a brief review highlights anything that may need to be emphasised to an applicant (and avoids an attorney being negligent). The Examiner raises [No. of <objection> tags] objections: [list <objection><type> for each <objection>]. Under [first <objection><type>] ([<objection><legal_provision>]), the Examiner objections to [<objection><application_section>] on the grounds of [<objection><reason>]. This is all a work in progress so I will update you as I develop more. Any additional ideas or comments, please add them below. – Goto File > Import > XML from Folder(s) – select the folder you just unzipped. You should then get a chance to enter a new reference and the previous documents should be imported. (I think it also works by exporting as XML to Folders). Patent Figures need to be simple. Most are drawn using one of the Microsoft triumvirate: Word, PowerPoint or Visio. These are neither perfect nor cheap. They also have limited support on mobile devices or other platforms. Here I will consider two alternatives. From a quick Google this appeared to be a high-ranking drawing app. It is £5.99 with additional small charges for extra shape sets (one at £2.99 and several below £1 – even if you bought all shape sets total cost is only around £15). Full version is: here. You can download a “Lite” version to play around with before buying. Gesture recognition – draw a shape and it will convert into the nearest standard. PNG (with background transparency), JPG or PDF export. Cheap – although £5.99 is “expensive” for iPad apps it is cheap as compared to desktop software licences (£££s for Microsoft products) or subscription services (see next product below). Simple and clean user interface – navigation is very quick to learn and intuitive, much easier than Microsoft desktop products. There is a low cognitive burden on the user (as they say). Auto-alignment and snap-to-grid work well – comparable to but somehow less crowded than PowerPoint 2013. Selection of objects, grouping and ordering is a breeze – touch is much better than mouse input for this. Gesture recognition requires relatively precise drawing. I found this required relatively straight lines for a rectangle – many of my “rectangles” we’re converted into custom shapes rather than quadrilaterals. I did improve with practice though. No editable export. However, I believe Visio export is on the feature wishlist and is in progress. Possibly no auto-distribute (e.g. vertically for flow chart boxes). 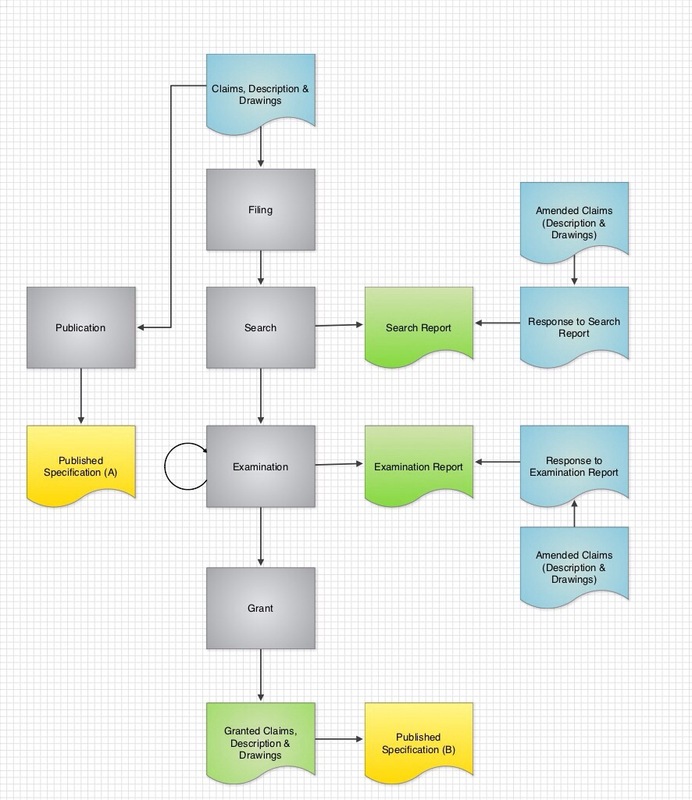 I seem to look LucidChart every year. Previously I decided that the subscription model was too expensive for the limited number of advantages over the triumvirate. Also many of the features were overkill for patent Figures. However, a number of improvements merit a longer look this time. Cross platform support via the browser. 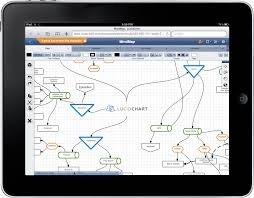 Wireframing and user interface mock-ups useful for computer-implemented inventions. iPad auto-shape recognition more robust than Grafio. Price – a basic plan is £26/year ($40); a more useful plan with user interface wire framing and Visio import/export is £65 ($100). This is expensive for something I would not use everyday (cf. Spotify at £10/month and Netflix at £6/month). “Cloud” storage – even though this is typically more secure than company email it is still seen as high-risk. It may thus be more difficult to obtain approval from IT for use. No native iPad app – even though there should be no difference we all know that native apps offer better stability and features. Update: There is now a native iPad app available. I will see if I can give it a run. It was not clear how to change properties on the iPad web-interface (e.g. group items or change line types). In the end Grafio wins out – mainly for simplicity and a good price/feature point. I am going to download it. If they proceed with improvements (SVG-out would be great) at the current pace, then it will only get better with time. Being an engineer by training (and at heart) I have always been a bit sceptical of those who say that the law cannot be automated. Yes, there will always be special cases in need of bespoke thinking, but these can be acknowledged within a system. As law involves the application of written rules + historical information, there is actually a large overlap with information and language theory. Here are a few thoughts as I start looking at this myself. They may not all be “right” and may change as I go along but, hey, they might somehow be useful to someone. As with most things a first step is conscious reflection. Attempt to look with fresh eyes and then perform a brain dump; this provides a good starting point. I normally do not worry about extensively documenting everything; this is impractical if not impossible. If you build any system in an agile, iterative and extendible manner you can refine later. A great person to do this is an intern or new starter – most if not all within an organisation will assume that the way things are done is the way things can be done. This is why people hire management consultants (at large cost). At this stage bullet points are good – they allow hierarchy to be captured. This naturally translates into most data structures. Another advantage of web technologies is you can quickly build prototypes and have everyone access them. They are also cheap, well-documented and easy – you can set up a web server on a mothballed PC using the LAMP framework (Linux, Apache, MySQL and PHP) with a few lines of command line code. Hell you can set up a system for a small business on a Raspberry Pi for £50 – silent and 3-5 Watts. This is how the Googles and Facebooks became so large so quickly. Next step is to iterate through your process brain dump adding some structure. 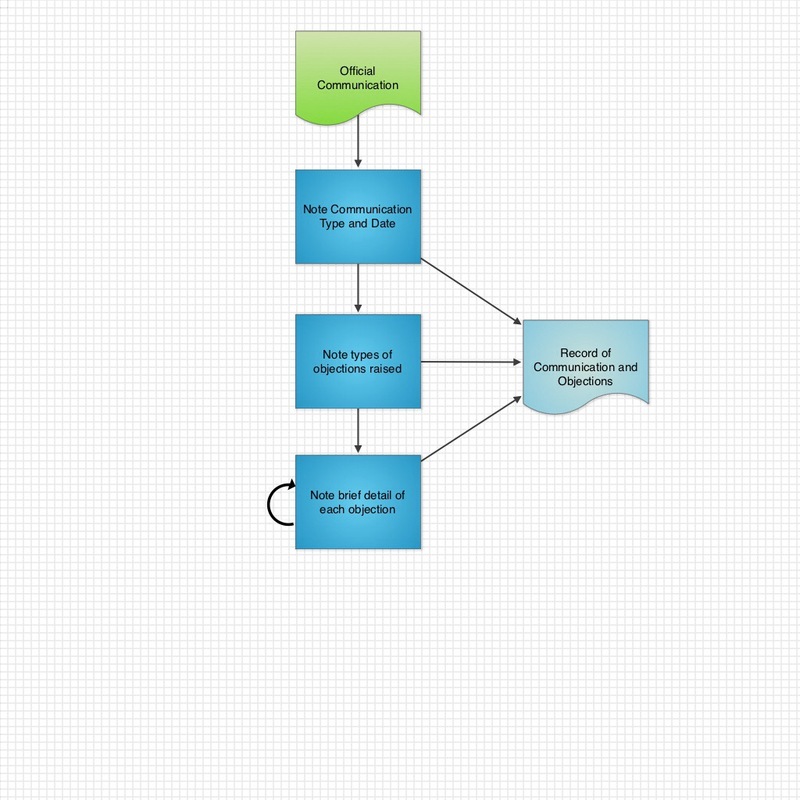 Pick out key events and triggers – model in flow diagrams. Pick out key documents requiring input – model as bullet point hierarchies. Make a note of where input is actually required, what information may be stored already and how long each input takes to generate. Think modules – try to separate process and documents into relatively independent elements – ideally each module or level should have 3-7 elements (reflecting the number we can hold in our minds at any one time). If you go above 10 elements – add another layer of hierarchy. It is easier for our brains to work at different layers of hierarchy, each layer having a few elements, and “drill down” than it is to have few layers with many elements per layer. Pick the easiest modular subprocess. 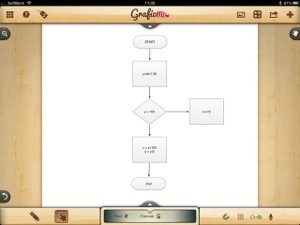 Start with this and prototype independently. Big systems hardly ever succeed (think of any public IT infrastructure). Document extensively – blog internally or externally – it is a great way to document and you get the marketing for free! 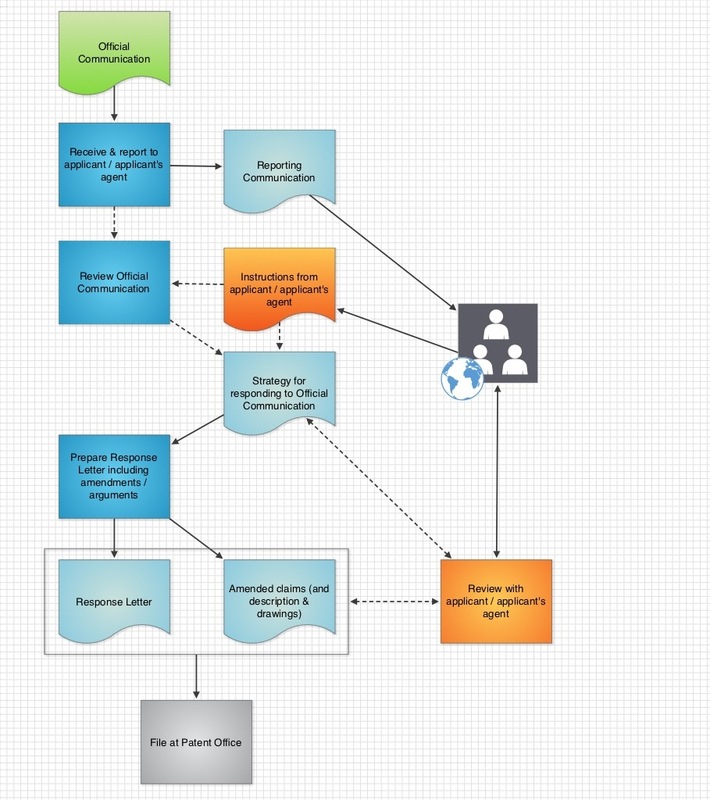 Go from the model of the subprocess and any documents to a web-workflow. Documents can become XML then HTML. Presentation can be dealt with later via CSS – concentrate first on functionality. 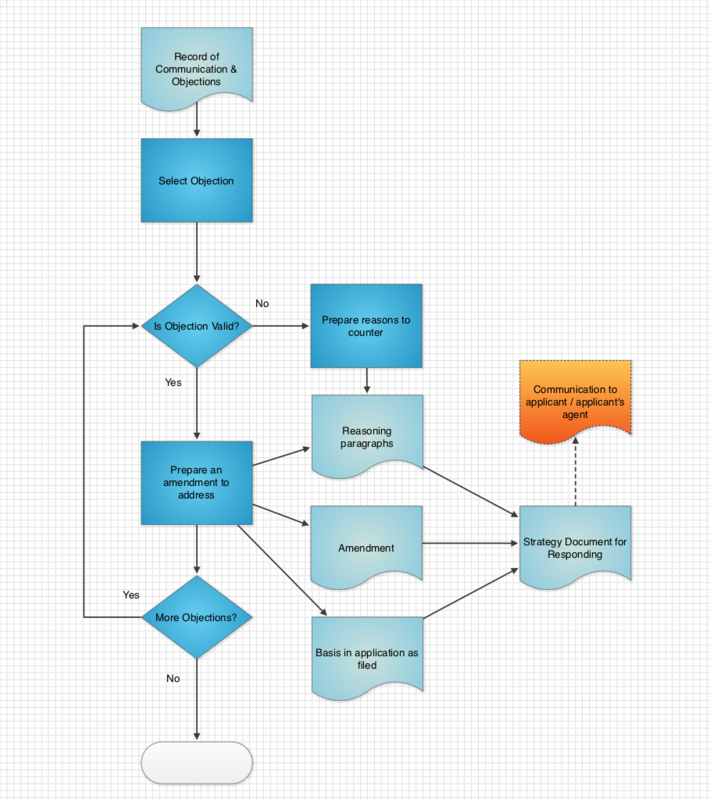 Take key process functions and code-up computer equivalents (e.g. in PHP or other server backend – Python is good for quickly prototyping back-end function). I would avoid extensive database use at this stage – they have relatively high inertia – iterate at a flat-file level until things stabilise, at which point you can look at a database. Anyway I will try to provide some examples shortly to make this all a little more concrete.